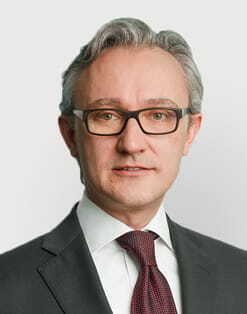 Elmar Zumbuehl was appointed group chief risk officer and member of the Group Management Board of GAM Holding AG in 2017. Before that he was group head of risk & governance and a permanent guest member of the Group Management Board. He joined GAM in March 2010 as senior legal counsel and risk manager. In 2011, Elmar also assumed the role of general counsel and corporate secretary of GAM Holding AG. Prior to that, he worked at Julius Baer for 10 years in different roles, latterly from 2006 to 2010 as head legal risk controlling & governance. Elmar, who has been admitted to the bar in Switzerland in 2000, is a graduate of the University of St. Gallen (HSG). He holds master degrees in business administration (lic. oec. HSG), specialising in finance and accounting, and law (lic. iur. HSG). Elmar was born in 1970 and is a Swiss citizen.